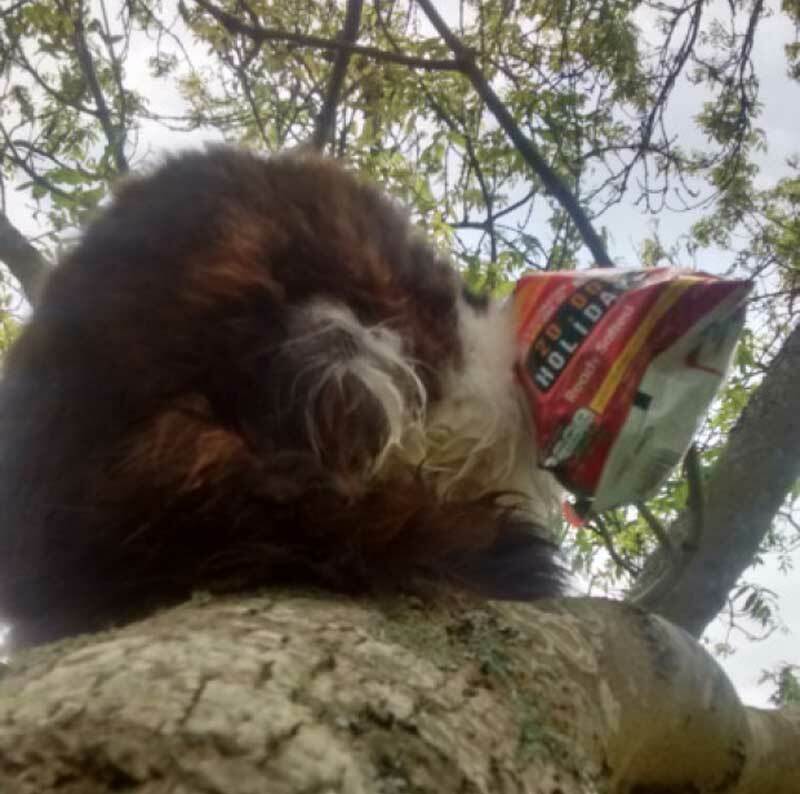 A hapless cat stuck up in a tree with a crisp packet on his head had to be rescued on Friday morning. The RSPCA attended Thicket Lane, near Chichester, West Sussex, at around 10am after a resident called for help. They were concerned that the cat would not be able to get down from the tree as he couldn’t see. Marie Stevens, RSPCA welfare officer, climbed around twelve foot up the tree to save the tabby, believed to be a feral, along with the help of two colleagues. Kirsty Watling and Shelly Cash, animal care assistants from the RSPCA’s local branch, Mount Noddy Animal Centre, helped AWO Stevens with the rescue to ensure she was safe. The cat didn’t seem to be injured by his experience.